I've been a part of this team since I started blogging year 2010. And my first check comes from LINKVEHICLE. I started blogging as my hobby, just to make myself busy while managing my shop. 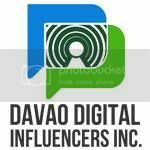 Just using blogspot as my site host then I learned to adopt blogging as a source of my income at the same time. When I get my first check from LinkVehicle I decided to purchase my own domain. Once you get serious with it expect for more expenses, you really need a nice name for your site and theme hosting to attract more advertisers and sponsors for your blog. What I like about LINKVEHICLE is that they really help you boost your site by giving links and product reviews suited for your site. There's no limit on the amount of blogs your going to add at LinkVehicle, only thing is that you have to wait to approved your site. It is a 50/50 split. You're being paid for the post your going to make, so for every post your get for $100 LinkVehicle will get $50 and you have the remaining $50. And payments are sent via Paypal,just make sure you have at least $10 balance to receive payment. LINKVEHICLE is an SEO Advertising company that connects both bloggers, advertisers and readers/viewers of your blog. These kind of a chain makes BLOGGERS to earn money, ADVERTISERS to voice out their products and READERS/VIEWERS to avail of your positive/negative reviews about the products. More reviews means more work, more posts and more earnings. So want to join us? Sign Up HERE.